There is a consistent finding that the consumer’s choice of organic food is related to some kind of health concern, but there are large gaps in our knowledge of how, and in what contexts, consumers relate organic food to the various aspects of health. When interpreting results on health concerns, it is important to know what kinds of definition of health are being employed. This is not always evident in the studies we have examined – and obviously, it cannot be assumed in advance that researchers and respondents or interviewees have the same thing in mind when they use the world “health”. Many analytical interpretations of health are available. Definitions may be narrow or holistic; they may refer merely to the “absence of disease”, or reach much wider, as does the definition used by WHO (1958), which includes “bodily, spiritual and social well-being”. Perceptions of safety and risk are central issues in much consumer research and in more general research in social science. Sometimes health concerns are conceptualized narrowly in terms of safety, but often it is likely to be more fruitful to treat health as a broader concept. Qualitative consumer research strongly suggests that health is usually understood by lay people in very broad terms. (For a further discussion see, for example, O’Doherty Jensen et al. 2001). Several studies conclude that health concerns are more significant than environmental concerns, even though – as discussed in the section above – the two may be interconnected. The definition of health will affect the availability of a conclusion of this sort, because when a broader concept of health is used the two concerns are more likely to be run together. The examples mentioned above (of consumer concern about pesticides and GMOs) suggest that consumer concerns relate in part to safety, in the sense of environmental protection, but very much more to quality, in the sense of products that are free of unwanted residues, additives or organisms. One interpretation of this asymmetry is that the health issue here rests on a conviction that these things are not “good for us” (do not enhance our health), not a fear of becoming ill as such. Developing a better understanding of the way in which health concerns relate to various levels of well-being – from avoiding illness to enhancing full bodily, spiritual and social well-being – is an important challenge. Some studies indicate that health concerns have in general become more serious and widespread among the public. An example of this comes from the UK, where analyses of food marketing conclude that all product areas have been influenced by the greater emphasis now being put on health by consumers. The relationship between “food scares” and the buying of organic foods for health reasons is frequently referred to in the literature. It is often suggested both that we live at a time when our health is threatened increasingly by global dangers (Beck 1992) and that we are increasingly exhorted to take individual responsibility for health by engaging in various self-care regimes (Shilling 1993). The notion that post-industrial society is a “risk society” (Giddens 1991; Beck 1992) implies that perceptions of risk have become more central in how we organise our lives: “Living in the “risk society” means living with a calculative attitude to the open possibilities of action, positive or negative, with which, as individuals and globally, we are confronted in a continuous way in our contemporary social existence” (Giddens 1991: 28). This analytical framework provides an important background to some aspects of organic food consumption. Organic food is empirically related to several types of “food scare” and postindustrial types of risk – risks, that is, limited in neither time nor space, since future generations and the whole planet may be affected (Beck 1992). Choosing organic food might be seen as a way of providing for personal health, the health of future generations, or for what has been called “agroecosystem health” (Haworth et al. 1998), which in turn provides for human health. In countries (such as the UK) in which scandals (such as the BSE debacle) have occurred and the public’s interest in food-related risks has been particularly great, these associations seem to be more pronounced than they are elsewhere – in the Scandinavian countries, for example. According to Giddens (1991) our sense of self-identity is formed reflexively through the continual reordering of self-narratives. The concept of “lifestyle” is used by Giddens to illuminate the way in which individuals seek to establish a meaningful and reliable sense of selfidentity in conditions of high modernity. “Lifestyle” refers to a relatively integrated set of practices chosen by an individual in order to give material form to a particular narrative of self-identity. The more tradition loses the capacity to provide people with a secure and stable sense of self, the more individuals have to negotiate lifestyle choices and attach importance to these choices (Giddens 1991). Consumers’ valuations of organic food might refer to some of these issues (e.g. symbolic value, value in terms of self-representation and so on). In dealing with a complex plurality of choices, the consumer might take organic food to represent values that agree with “who you want to be”. 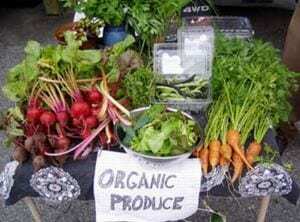 Organic food may, in other words, represent a lifestyle choice (see, for example, Halkier 1998). If we regard health as a state of total well-being – emotional, psychological and social – such issues become highly relevant as “health concerns”. We cannot, within the frames of routinised everyday life, manage to be confronted with this plurality in the form of acts of choice. We need some generalized symbols or principles that can help to put in place our more or (rather) less explicit needs and wishes. Organic food may represent one such principle (Kjærnes 1999). This broad spectrum of interpretations of the concept of health – ranging from “avoiding illness” to “achieving complete well-being” – complicates the interpretation of consumer perceptions of connections between organic food and health. Care must be taken to include all the aspects perceived as relevant by consumers and to understand the specific meaning attributed in any given context.